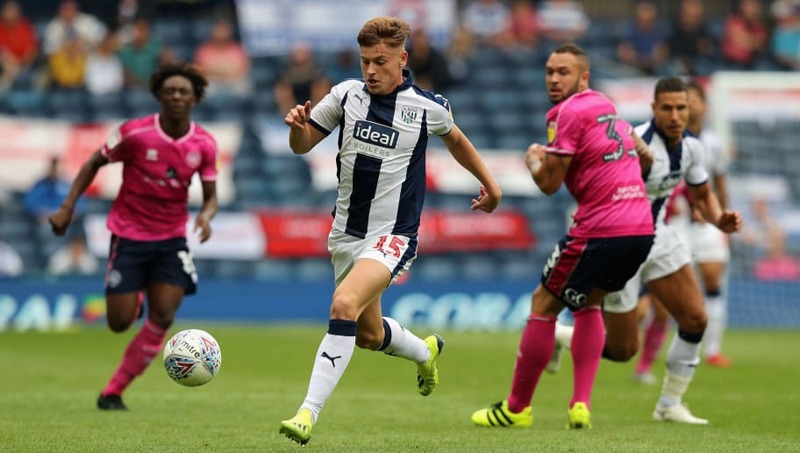 ​Leicester have the option to recall Harvey Barnes from his loan spell at West Brom in January, according to the ​Birmingham Mail. Barnes has made an electric start to life in the Championship, scoring with a stunning strike from outside the area on his debut against Bolton and then adding to his tally with another goal against Norwich. The 20-year-old has only ever played eight minutes of Premier League football for ​Leicester, but Claude Puel will have to sit up and take notice if the young midfielder continues his fine start at the Hawthorns. Barnes has signed a loan deal until the end of the 2018/19 season but apparently Leicester have the right to recall him in January if they so wish. It would be a blow to West Brom if Leicester did recall Barnes, as he has played in all eight of the Baggies' matches so far this season - six in the Championship, two in the EFL Cup. Barnes has been on the books at the King Power Stadium since the age of 9, and made his Leicester debut in the awe-inspiring surroundings of Porto's Estádio do Dragão, although it was a baptism of fire as the Foxes lost 5-0. He impressed in loan spells at Milton Keynes Dons and Barnsley, before returning to Leicester and making his Premier League debut against Southampton in April this year. Barnes has also been capped five times for England at Under-20 level, scoring twice.